If you had asked this question several years ago you would have gotten a very different answer since there has been much change to NetSuite over the last few years. At a high level, NetSuite is a cloud-based business applications software publisher designed to enable SMB & Mid-market companies to run their business from a single platform. 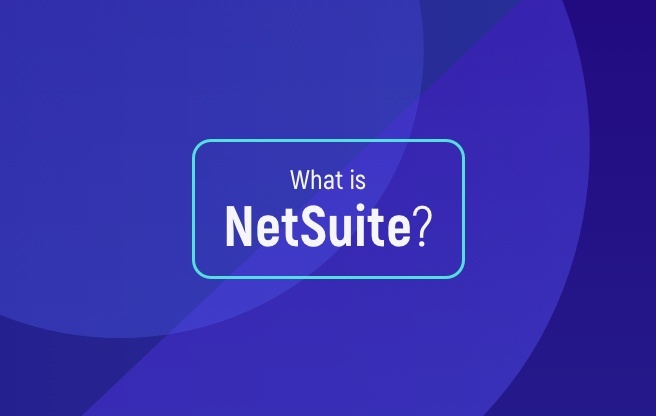 This one minute video nicely summarizes "What is NetSuite". However, a little history lesson may be in order to understand the full context of "What is NetSuite" both in terms of the software application, the company, and why we think its the best choice for many companies. Read our "NetSuite Pros & Cons Blog here. NetLedger, the original name for NetSuite was founded in 1998 by Evan Goldberg, which at the time offered web-hosted accounting management software. It’s widely recognized in the industry that NetSuite was the very first cloud computing software company, even pre-dating Salesforce.com by about one month. Fast forward to July 2002, Zach Nelson joined NetSuite to become the CEO and lead the company from around $1 million an annual revenues to a billion-dollar run rate right up until the acquisition by Oracle in July 2016. Both Evan Goldberg and Zach Nelson had previously worked for Larry Ellison (Oracle co-founder and CTO), prior to forming and leading NetSuite. 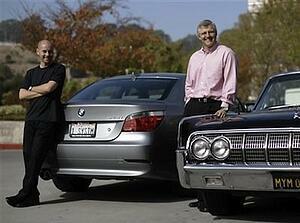 In fact, Larry Ellison was one of the original main investors in NetSuite to the tune of $125 million back in 1998. Since the Oracle acquisition in July of 2016, NetSuite has intentionally continued to operate as a separate Global Business Unit (GBU) with the majority of the original management team intact. NetSuite’s core product offering has primarily been the result of organic growth. However, there has been quite a few notable acquisitions over the last 10 years in ecommerce, retail, manufacturing, and professional service automation. NetSuite has five main categories of software products available to license via a subscription model. 1. Enterprise resource planning (ERP) - NetSuite ERP provides support for back office operations. This includes applications for Financial Management, Item & Inventory Management, Order Management, and Procurement. NetSuite’s ERP application has long been recognized as a leader by industry experts such as Gartner, Forrester and CODiE and used by over 40,000 customers globally. 2. Customer relationship management (CRM) – NetSuite CRM supports sales force automation, marketing automation, commissions management and partner relationship management, and natively integrates with NetSuite ERP. 3. E-commerce - NetSuite's Ecommerce application known as SuiteCommerce is a fully integrated platform for online e-commerce and in-store point of sale (POS) applications supporting both B2B and B2C business models. NetSuite SuiteCommerce is currently used by over 1,600 organizations. 4. Professional Services Automation (PSA) - NetSuite PSA provides support for professional service-based organizations that need to track and manage project time and expenses, staff, and provides full project accounting. NetSuite has two product offerings (OpenAir & NetSuite PSA) for organizations desiring a PSA solution. 5. 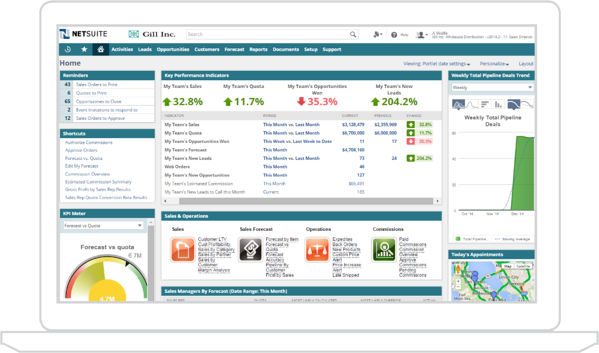 Enterprise Performance Management (EPM) - Oracle NetSuite Planning & Budgeting Cloud Service (PBCS) enables finance organizations to streamline the budgeting and forecasting process and can perform complex business logic to provide instant analysis and reporting with tight Microsoft Excel integration. NetSuite ERP software combined with our expertise as a leading NetSuite Solution Provider creates tremendous value to our customers and partners. There’s really nothing else available in the marketplace like NetSuite that can provide robust, scalable and tightly integrated solutions delivered in the cloud like a NetSuite solution does. Whether you’re a 10 person company or a 1,000 person company NetSuite could make sense for you. The NetSuite Platform: The platform referred to as SuiteCloud can be used to develop simple to complex NetSuite customization, build NetSuite integrations and create entirely new NeSuite applications all together. Ease of NetSuite Integration: NetSuite provides robust APIs to enable ease of system integration with other leading software applications either directly or through a connector or integration platform (iPaaS). Common NetSuite integrations that we've performed include NetSuite Salesforce integration, Magento NetSuite integration and many others. Breadth of NetSuite Features and Benefits: NetSuite is a great fit across several different industries and company sizes. Out of the box NetSuite provides feature rich capabilities for Software, Wholesale Distribution, Manufacturing, Professional Services, Nonprofits and Retail/Ecommerce companies all from a single code base and ERP product. Want to see for yourself? REGISTER FOR A NETSUITE DEMO BY INDUSTRY! NetSuite Pricing & Delivery Approach: Long gone are the days of expensive on-premise perpetual software license agreements and several month long ERP implementation projects. The SuiteSuccess methodology enables Techfino to deliver a complete NetSuite ERP implementation to our clients within 100 days. Also, the NetSuite pricing model by design is modular, essentially enabling customers to only license what they need when they need it. Now that you can confidently answer "What is NetSuite?" are you ready to take the next steps in uncovering whether NetSuite might be right for you? LETS TALK!